Yale University Press, 9780300087635, 288pp. Over the past hundred years, tourism has evolved into the world’s biggest business, and few countries today question the common wisdom that the road to economic development is paved with tourist dollars. Yet questions should be raised, Patricia Goldstone argues in this pathbreaking book on the social and political impacts of tourism. She examines for the first time the close connections between business and politics as government and industry leaders work together to reengineer political trouble spots into tourist destinations in places like Ireland, Turkey, and Cuba. She also probes the impact of tourism on diverse cultures. 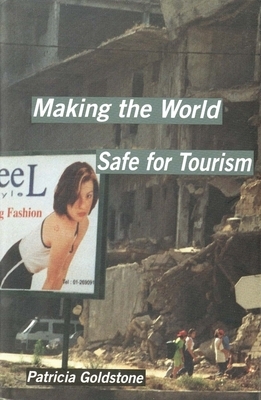 In a keenly perceptive account of the history of tourism in the twentieth century, the book tells how and why tourism aligned itself with political power, how it became embedded within such non tourist institutions as the World Bank, and how since World War II it has become an instrument of international development policy. In detailed case studies that are also compelling travel narratives, Goldstone documents the effects of tourism on local people, including its tendency to lead governments toward greater social repression. She offers fascinating insights into the ironies of modern tourism--how, for example, it can insulate tourists from the very things they seek to encounter, and how, despite its preservational efforts, tourism can affect a culture in complex, sometimes troubling, ways. Patricia Goldstone is a freelance journalist and playwright living in New York.